Landtek Humidity & Temperaturer Meter HT-6290 External Probe 10~95%RH -10~60ºC(14~140ºF) for Workshops, Offices, Plantes, Libraries, Laboratories and Warehouses by Landtek at N Online Agency. Hurry! Limited time offer. Offer valid only while supplies last. 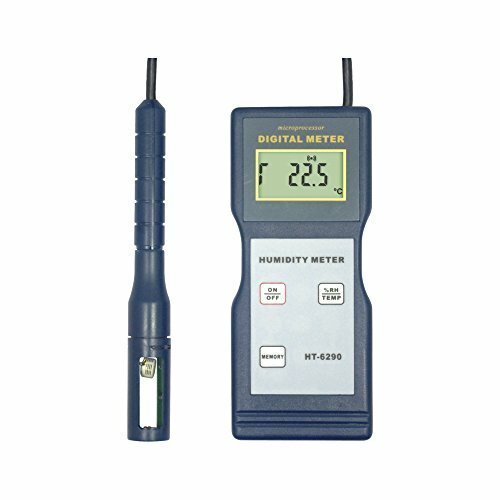 Introduction Be able to measure Humidity, Temperature. Widely used in workshops, offices, libraries, computer stations, laboratories and warehouses. Be able to measure Humidity, Temperature. Widely used in workshops, offices, libraries, computer stations, laboratories and warehouses.